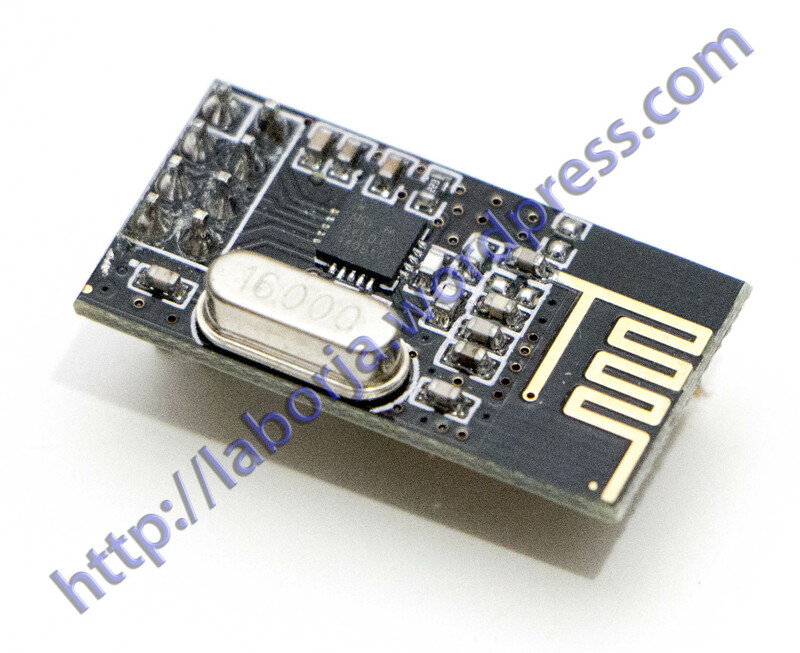 This wireless Transceiver module is an easy and suitable module if you want to setup your wireless communication system with low cost!! This module can achieve a good balance between wireless transition performance and cost! • 2Mbit/s, 1Mbit/s, 250Kbit/s, three selectable transmission rate. • MultiCeiver hardware and six receiver functions. • 2 Mbit/s make high-quality VoIP is possible. • +/- 60 ppm crystal. • There is no need multi-layer PCB. • 5V tolerance level inputs. • Improved ShockBurst and the serial interface can be easy to connect with a variety of low-cost MCU. • There si no need SPI interface with the MCU. • Received in the rate of 2Mbit/s, the peak current is 12.5mA. • When the rate of 2Mbit/s @ 0dBm output,the peak current is 11mA. • Power-down mode, power consumption is 400nA. • Standby mode, power consumption is 32uA. • 130us fast switching and wake time. • With voltage regulator:Oltage regulators on board. • Built-in 2.4GHz antenna,support up to six channels of data reception.